Last week the New Jersey State Bar Association held its annual convention in Atlantic City. Over 2,500 judges, lawyers, law clerks and law students headed down the shore in search of CLEs and the scoop on emerging legal issues. In the following post, NJCJI’s Emily Kelchen reveals her insights on issues of interest to the civil justice community that were discussed at the convention. It came as no surprise to me that the best-attended events of the entire conference were the state of the judiciary addresses by Chief Judge of the U.S. District Court for the District of New Jersey, Jerome B. Simandle, and Chief Justice of the New Jersey Supreme Court, Stuart Rabner. Simandle started off by thanking his colleagues and congratulating them for their hard work. Although New Jersey’s federal courts had their busiest year ever, they remain some of the fastest federal courts in the nation. Perhaps some of the busyness stems from the fact that, as Simandle noted, New Jersey federal courts are home to a disproportionately large amount of multi-district litigation cases. Rabner focused his remarks on three things: the impact of bail reform on the criminal justice system, the progress of the complex business cases program, and the judicial website/e-courts initiative. On the criminal side of things, Rabner noted that the court system will need more judges if it hopes to properly implement the bail and speedy trial reforms it has adopted. According to Rabner, the complex business program currently has 69 cases in it. He hopes to see more litigants take advantage of it in the future, particularly those in counties other than Bergen & Middlesex, which host the majority of the existing cases. He would also like to see greater use of the resources on the court’s website, and an embrace of e-filing as it is rolled out to more types of cases. While there were many panels during the convention that touched on topics of interest to NJCJI, two really sparked my interest. The panel Latest Developments in Class Action Litigation really lived up to its name – the panel members spent a great deal of time parsing the Vincent Daniels v. Hollister Co. case, which was decided the day before the panel. There were plaintiffs’ attorneys and defense attorneys on the panel, and all agreed that the decision’s rejection of the Third Circuit’s view on the importance of ascertainability will incentivize plaintiffs to file more class actions in state court in New Jersey rather than federal court. The panel was divided in their opinions about what impact the Daniels case will have on our state’s interlocutory appeal law. Defense lawyers on the panel think that footnote 1’s adoption of the First Circuit’s test for allowing appeals could open the door to many more interlocutory appeals of certification decisions. Plaintiffs’ attorneys disagreed. Beyond the Daniels case, the panel provided an overview of all the hot topics in the realm of class actions – injury and standing, removal and remand, potential cy pres reform, the rising popularity of TCCWNA cases in New Jersey (one panel member joked that it was probably a terrible idea to tell a room full of lawyers about TCCWNA), and arbitration. I recommend looking through the handouts from the session. 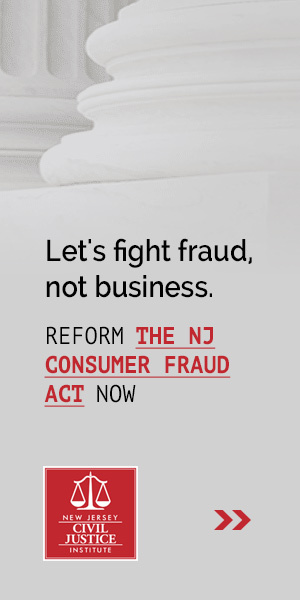 New Jersey’s New Complex Business Litigation Program was the subject of the other panel I attended that really took an in-depth look at an issue NJCJI has been closely following. The complex business litigation program, which was announced last April and implemented this January, has over 60 cases it. Motion practice is critically important to the cases in the program. Having the judge be more hands on in these cases really helps. Management of discovery, and e-discovery in particular, is emerging as an issue that needs addressed. A couple members of the panel suggested the court set up another working group to determine if New Jersey should do something in this area like the federal courts are. The practitioners on the panel suggested that they expect litigants in the complex business program to waive the right to a jury more frequently in the future since they can be confident that the judges are business law experts. The program encourages judges to write more opinions in order to develop a body of business law litigants and judges can draw on in future cases. The panel supports this idea, but is not sure how it will work since trial opinions are rarely published. They suggested that there might be a way to post opinions online even if they aren’t published in the reporters. Class actions are not currently part of the program, but panel members suggested it might be a good idea to go back and add them in. My convention experience was bookended by panels discussing separation of powers issues, a typically wonky topic that has become very salient to New Jersey attorneys over the past few years. I kicked things off by going to a panel entitled Battleground New Jersey – The Need For an Independent Judiciary. Judge Nelson Johnson provided a brief overview of his book Battleground New Jersey, quickly running through the history of the New Jersey court system and the reforms enacted in the late 1940s after the new state constitution was adopted. Johnson noted that the records from the 1947 constitutional convention have been digitized since he started writing his book, which is a boon to litigants, judges, and lawmakers trying to divine the original intent of certain provisions. Sweeney and Bramnick both had a lot to say about the judiciary and its role relative to the other more overtly political branches. Both politicians said multiple times that they are glad judges are not elected in New Jersey. Sweeney added that the same goes for the state attorney general, which will never become an elected position while he has the power to stop that from happening. It was interesting to hear Bramnick tell some courtroom war stories about being treated poorly by judges when he tried cases off his home turf. He noted that he wouldn’t mind voting on their reappointment again, drawing laughs from the audience. During the question and answer portion of the program Sweeney was challenged on his decision not to hold votes on some appointments. Sweeney explained it’s absolutely fair for him to choose not to hold hearings because the courts are supposed to be for the people, not the governor. After claiming that he is regularly contacted by judges that are afraid for their jobs, he went on to say that we should see some big appointments go through by the end of summer. The tension in the room was palpable during the discussion of appointments, and that feeling carried over to the Inside Trenton 2015 panel the next day. Audience members accused the legislature in general of not listening and not seeking advice during the Q&A session following remarks from Sen. Peter Barnes (D-18), Sen. Linda Greenstein (D-14), Asm. Anthony Bucco (R-25), and Asm. Michael Patrick Carroll (R-25). One of the last sessions I attended before heading out was Judicial Independence at State: Examining the Intersection of Today’s Political Climate and the Impartiality of the Courts. Perhaps the passions displayed in the previous panels should have tipped me off, but I went into this session thinking it would be just a recap of the recently released report of the state bar’s Task Force on Judicial Independence. I was wrong. While the report basically endorses the status quo, members of the panel repeatedly expressed their disappointment with the current system of judicial selection. During the Q&A session, members of the audience outright said that the report was weak, and changes need to be made. Panelist Sen. Kevin O’Toole (R-40) drew a round of applause when he responded that it is time to end legislative courtesy for judicial appointments. The biggest take-away for me from the conference as a whole is a greater sense of the lingering outrage over Gov. Christie’s supreme court moves and the judicial selection process generally. The impassioned speeches and fiercely whispered commentary from the audience were rather surprising to me since most of the news reports on judicial selection cast the issue as very much political inside baseball and, as mentioned above, the taskforce report was less than earth-shattering. I look forward to getting more involved with the state bar over the coming years, particularly since I’ll be serving as the legislative coordinator of the Young Lawyers Division this year. Email Emily questions or comments about this summary.